Michigan is a fantastic city to live in USA, but even better to visit. There are so many activities year round to see and experience in Michigan. 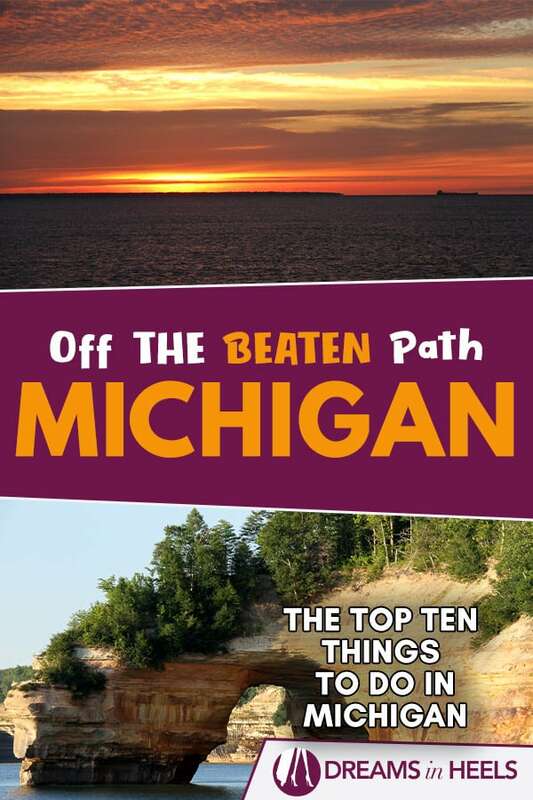 Here are my top ten offbeat + fun things to do in Michigan in no particular order. The Air Zoo Museum in Portage is not very well known, but it should be. There are airplanes, amusement park rides, science, and history all packed together into one massive venue in Portage, Michigan. The Air Zoo has over 50 aircraft on display in various stages because in addition to this being a museum it also is a restoration facility. You can see some historic planes being put back together piece by piece. One of my favorite parts is a section dedicated to the women who flew for the Air Force during World War II. Open Hours Monday – Saturday 9 a.m. – 5 p.m. and Sunday 12 – 5 p.m. In a small town in the upper part of lower Michigan, there is a place where you can schedule a two-hour ride in a glass-bottom boat through the Thunder Bay National Marine Sanctuary. Why is this so special? Because the Thunder Bay area in Lake Huron has numerous shipwrecks in which over 50 of them are identified. And you get to see a bunch of them through the crystal clear waters while cruising through the bay. Summer Hours Daily 9 a.m. – 5 p.m. Saturdays open until 7 p.m.
One of the most beautiful spring flower festivals in Michigan is the Tulip Festival held in Holland, for two weeks in May. Over 5 million tulips are in bloom around the city waiting for you to photograph. When visiting Holland, you might feel like you are walking in the Netherlands with the rows of tulips and all the windmills. This is a great festival for families with parades, dancing, food, amusement rides, and of course lots of tulips in every color of the rainbow. The Pictured Rocks can be found in the Pictured Rocks National Lakeshore in Munising. You can schedule a boat tour that will take 2.5 hours on Lake Superior and you will be able to see the mineral stains leaking out of the sandstone that gives the cliffs their amazing colors. You will also see many beaches, coves, weird rock formations, and waterfalls along the coastline. There are three tours to choose from Classic, Spray Falls, and Sunset. The sunset tour is by far the best because it will showcase the most vibrant colors on your journey. This is a great trip for photographers and nature lovers. Tours tend to sell out so make sure to book early. 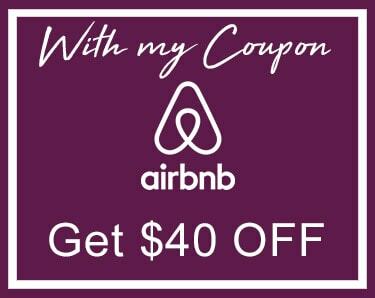 Tours are available during May through mid-October. Sleeping Bear Dunes National Park is a wonderful family summer vacation spot in Michigan. There are sand dunes to climb and run down, beautiful landscapes to photograph, and sunsets over Lake Michigan to watch. 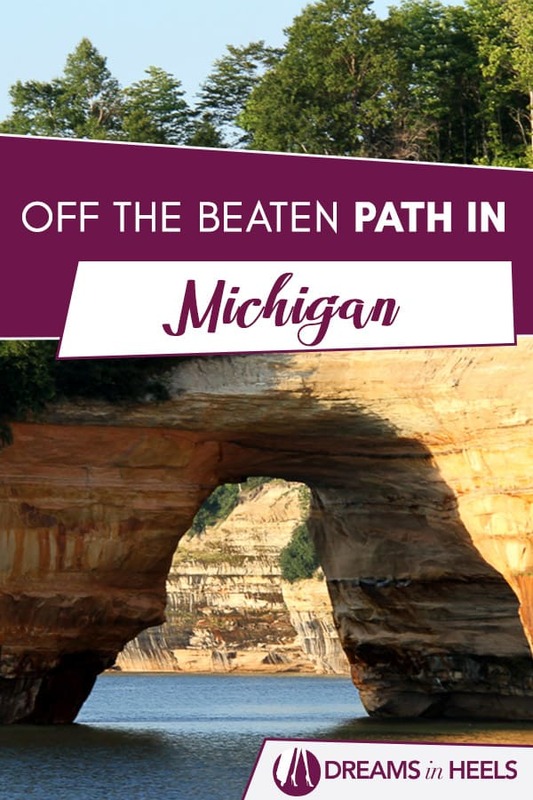 Besides camping in the campgrounds and swimming in Lake Superior, there is the Pierce Stocking Scenic Drive. This 7.4-mile drive consists of twists and turns through beech-maple forests, overlooks of Lake Michigan and Glen Lake, stops for picnic areas and dune hikes. One of the highlights on this drive is the 450-ft climb down to Lake Michigan. Just remember it looks a lot easier than it actually is. You do have to climb back up eventually. The second largest waterfall on the east of the Mississippi besides Niagara Falls is the amazing Tahquamenon Falls. It is hard to pronounce, but fun to say once you learn it. Tahquamenon Falls has two separate waterfalls. The upper falls is almost a 50-ft drop 200-ft across with over 50,000 gallons falling over the falls each second. The lower falls located 4-miles downstream is a series of five smaller falls cascading around an island. You can reach the island by rowboat. There is a campground in the Tahquamenon Falls State Park and hiking trails connecting the falls. In the fall with the lower water levels, you might even see people playing in the lower falls. Big Sable Lighthouse is an iconic lighthouse since 1867 on the eastern shore of Lake Michigan in Ludington State Park. It is an easy two-mile hike to get to the black and white, 112-ft lighthouse. I love climbing up the sand dunes and running down fast with my arms waving about just like I did when I was a kid. 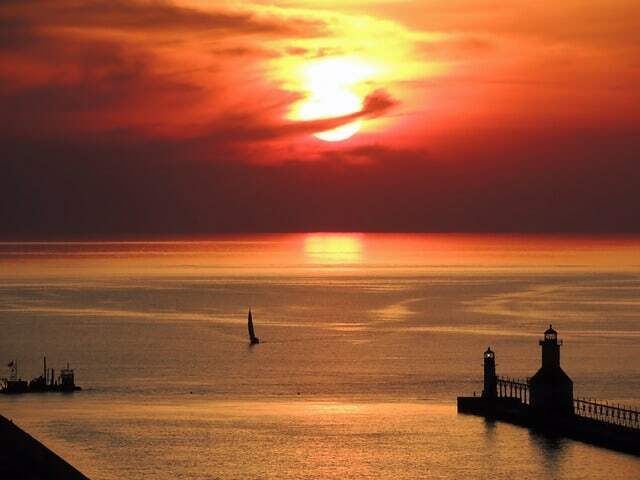 There are some stunning sunsets along the sandy beaches here on the shores of Lake Michigan. The original keepers’ quarters are attached to the tower. Tickets are available to climb the tower which happens to be one of the tallest in the state of Michigan. A great weekend trip to Traverse City would not be complete without visiting a winery or two. There are over 40 different wineries throughout the region. Located on the 45th Parallel, Traverse City area lines up with the most prestigious wine regions of Europe and is the ideal climate for growing a variety of wine grapes. The reason this area produces some great wine is the natural insulation of Lake Michigan, the fertile soil and the long hours of sunlight for extended growing seasons. On the Old Mission Peninsula, there is a wine trail with nine wineries that can be enjoyed in a single day trip or stretched out over several days. You can taste the wine, enjoy the scenery, and experience all there is to offer from the Wineries of Old Mission Peninsula and the rest of the Traverse City area. The Soo Locks is one of the great wonders of the world and is the largest waterway traffic system on earth. The Soo Locks are at the northern end of the St. Marys River connecting Lake Superior and Lake Huron and the twenty-one-foot height difference between them. The Soo Lock boat tour gives you the opportunity to actually experience the raising, or lowering, with 22 million gallons of water fed by gravity (no pumps) into the Poe Lock. You might even share the locks with a freighter. 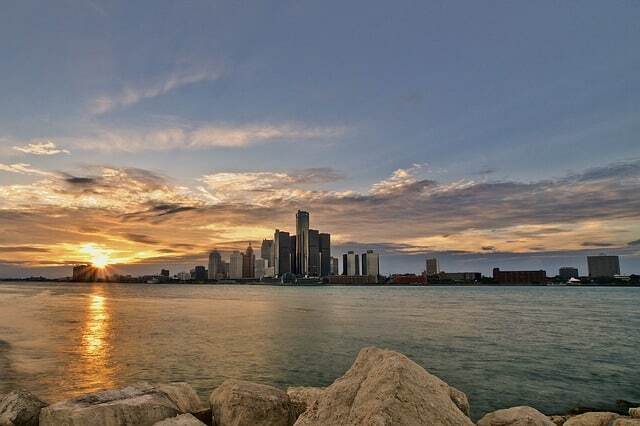 The boat tour will also travel along the international shoreline of the lower harbor, allowing you to experience all the sights, sounds, and excitement of Michigan’s oldest city, Sault Ste Marie. Tours (2-hour length) are available during May through mid-October. This National Historic Landmark with being only 8 miles round is a jammed packed adventure filled island. With only bicycles, horses, or your feet to get around, you can still see everything that this island has to offer. You can take a horse-drawn carriage ride around town, stop along the shore to skip stones at the water’s edge, marvel at the natural rock formations or watch the boats go silently past the island. Eat at the fabulous restaurants in the downtown area or splurge to visit the Grand Hotel. Munch on some Mackinac Island Fudge then treat yourself to an unforgettable sunset for an amazing trip. Bonus: I also enjoyed going on a Detroit Photo Tour. I totally recommend you the experience. About: Hi! I’m Heather Raulerson! was a full-time engineer working a traditional 9-5 job for 24 years. Now I have left the corporate life to follow my dreams of becoming a professional photographer and traveling full-time. I’m also an Aunt that loves to take my nieces and nephews traveling with me. About her blog: RaulersonGirlsTravel is a blog that helps solo adventure travelers and Aunts/Uncles traveling with nieces/nephews see the world. My pictures will inspire you to discover new destinations and our stories will prove that you can take kids anywhere or enjoy traveling by yourself. 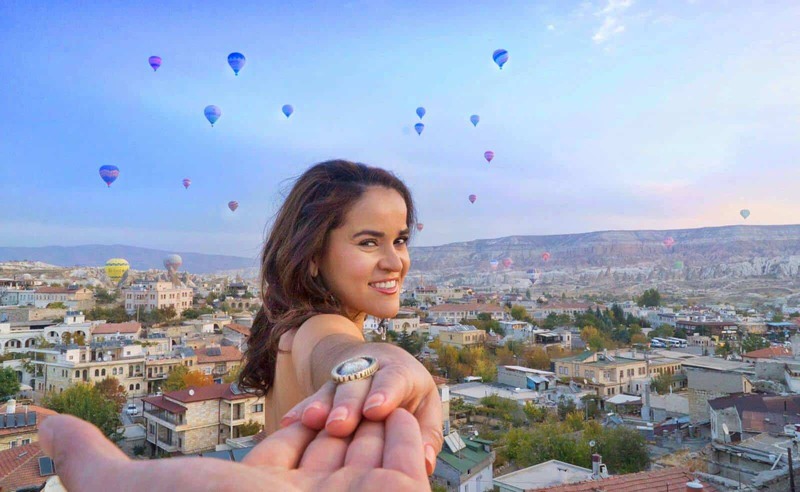 Join us as we explore the world, one beautiful adventure at a time!Check out all her adventures on Facebook and on Instagram.